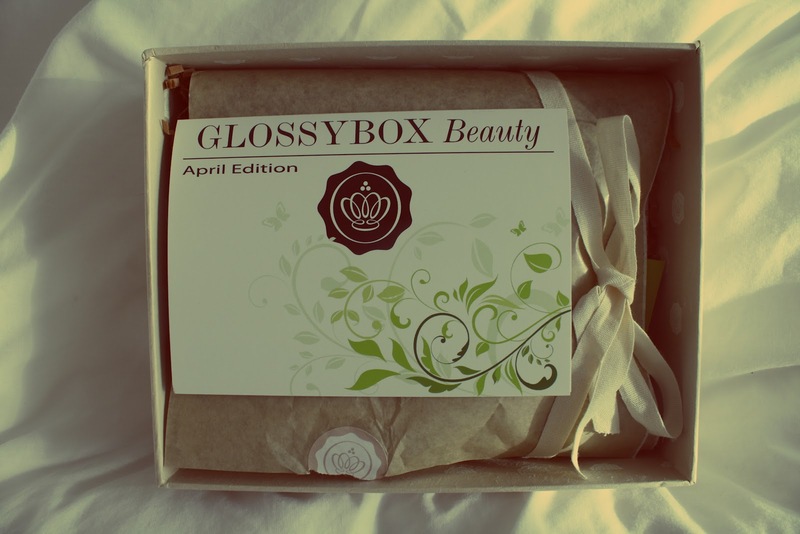 This month, I purchased my first ever Glossybox after seeing numerous blog posts about their past collections. I wasn't quite sure what to expect, and I was pretty excited not only to see which little pieces I'd been sent, but to see what the April box's lovely packaging would look like! When my box arrived, I was incredibly happy with what had been delivered to me! This month, Glossybox have presented us subscribers with a bundle of natural goodies for the 'Natural Beauty box', even the packaging itself is eco-friendly. I'm going to start with the Inika Cosmetics eyeliner which I received in shade 08, Peacock Blue. I'm not usually much of an eyeliner person but this has given me the excuse to start wearing it again, not every day, as the colour is so vivid, but on occasions. 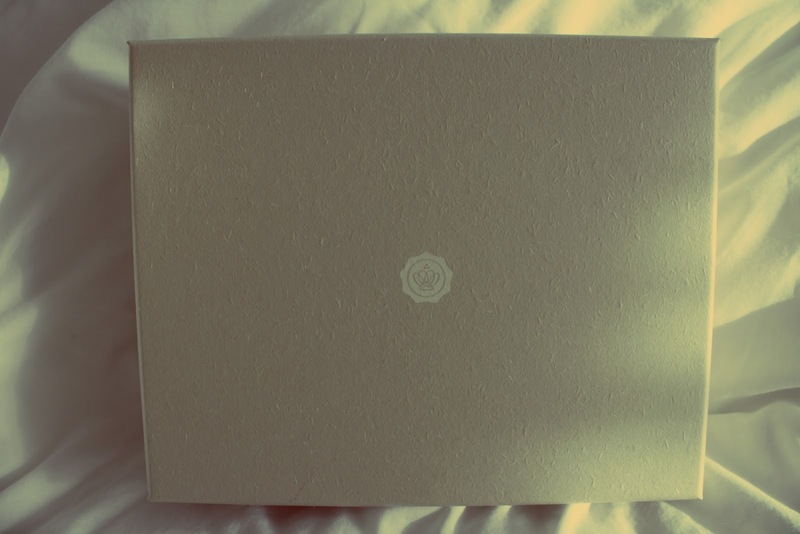 The colour has a slight glittery tint to it as well. 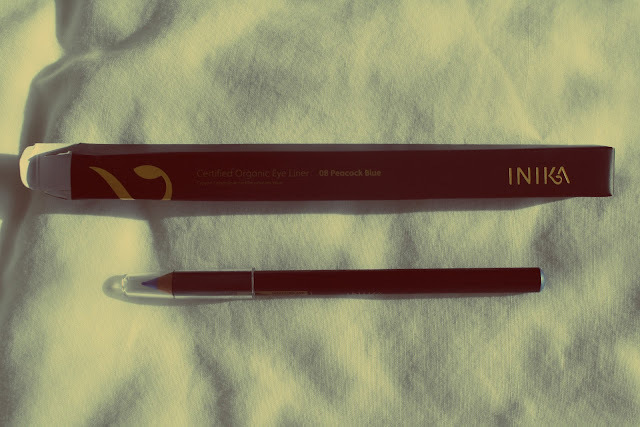 Inika also have their own eye shadows which could be used to compliment this eyeliner for a striking look. 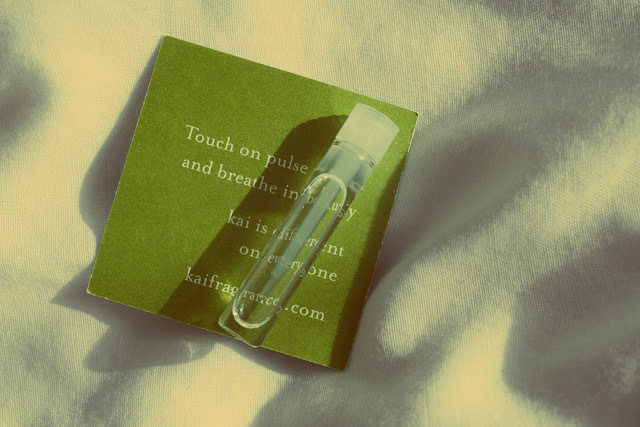 The next product which I found in my bundle was the Kai perfume oil. I'm more of a fruity-smelling perfume girl and so I'm not a huge fan of this one. 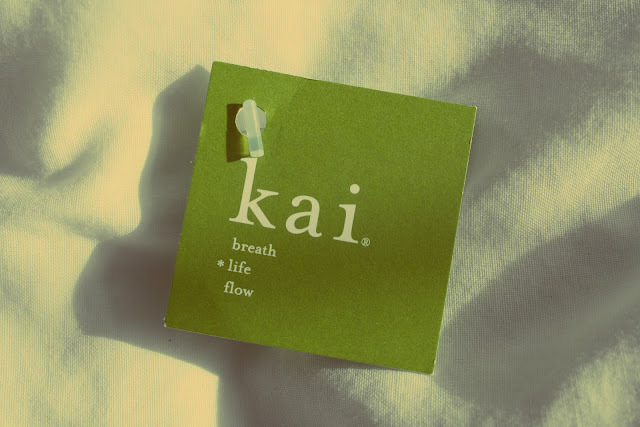 The smell can be quite overpowering and so you only need to apply to slightest bit to your skin. The oil is fragranced with an intoxicating blend of gardenia wrapped in white exotics. For me, the sample amount that I was sent is just the right amount. I was also sent the Ayuuri coconut natural body wash which I was incredibly happy with! 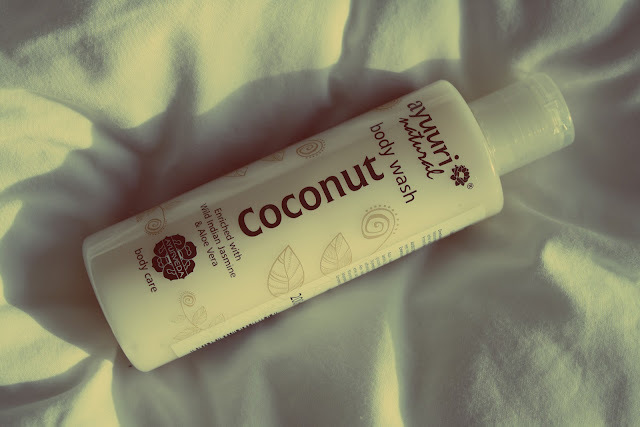 Coconut is one of my favourite smells and to receive a refreshing body wash in this was great. It is enriched with wild Indian Jasmine and Aloe Vera. When I first opened it, I was expecting it to smell very sweet, possibly sickly, but the other ingredients help to tone this down somewhat. The sample that I received is quite large too (200ml) so this has made the box even better quality for me on this occasion! 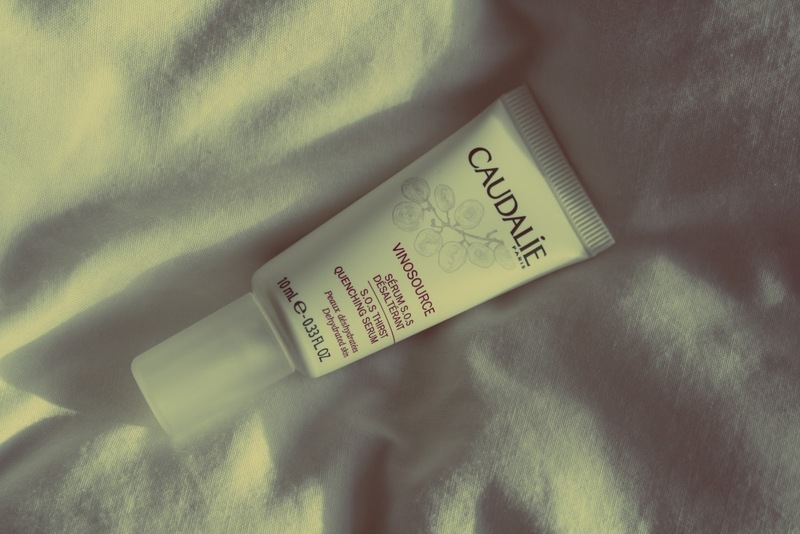 I am yet to try out my Caudalie serum as instructed to -- it is supposed to be applied morning and evening to the face and neck before moisturiser -- I simply applied it to my hands which were feeling a little dry and they've instantly become noticeably smoother. The serum isn't hugely fragranced which is a positive as I am rather prone to headaches, so I will definitely be using the full sample. Last but not least, my personal favourite item that I was sent, Figs & Rouge lip balm. I'm a typical girl and I like to carry around a tin of vaseline or lipbalm in my bag on all occasions. I'm also a sucker for packaging of products (if you are a regular reader of my blog, you most probably will have noticed this by now) and this little tin caught my eye straight away. 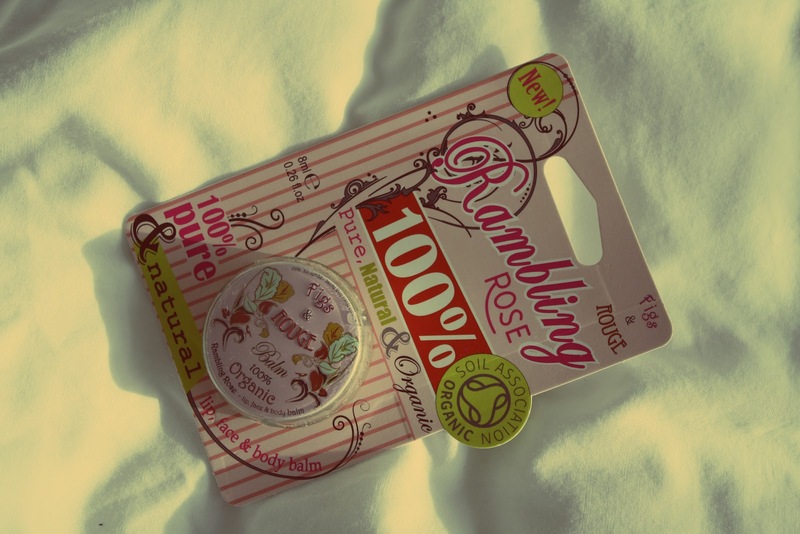 Appearance aside, it is great for hydrating your lips and can be used for your skin too! I'm already sporting this as a new addition to my handbag.